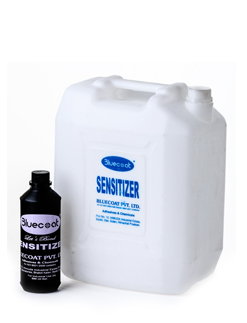 Sensitizer is used with Photo Screen Emulsion for exposing desi textile printing. Mix in standard proportion with Photo Screen Emulsion. 1 kg & 10 kg plastic carbuoy.